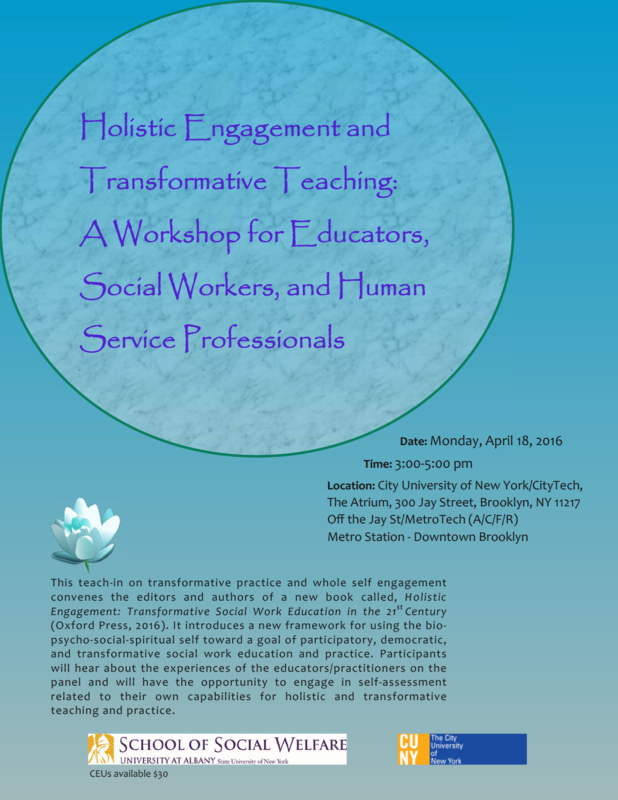 This teach in on transformative practice and whole self engagement convenes the editors and authors of a new book called, Holistic Engagement: Transformative Social Work Education in the 21st Century (Oxford Press, 2016). It introduces a new framework for using the bio psycho social spiritual self toward a goal of participatory, democratic, and transformative social work education and practice. Participants will hear about the experiences of the educators/practitioners on the panel and will have the opportunity to engage in self assessment related to their own capabilities for holistic and transformative teaching and practice.